As the new year begins, Alfred Rivera, director of the Defense Information Systems Agency’s (DISA) Development and Business Center, will retire from the Federal government. Rivera, who stepped down today, has been in the Federal service for 35 years, and spent all but 10 of those years at DISA. Rivera will begin consulting following his retirement from the public sector. After today, Stuart Timerman will serve as the acting director of the Development & Business Center. In 1992 Rivera began working at DISA, only a year after the former Defense Communications Agency relaunched as DISA. As part of that shift, DISA inherited 59 new data centers. Rivera worked to cut that down to 11 data centers that meet the agency’s needs. Rivera also created a Department of Defense (DoD) Enterprise Email, a project he called both the most challenging and most successful of his career. This email system is still one of the largest independent systems in the world, and was also one of the first at DoD to use authoritative identity management capability, a tool that DoD would later implement across multiple systems. Rivera also shifted DISA’s power structure from one that held most power at the local level to a more centralized system, allowing for standardized customer applications. 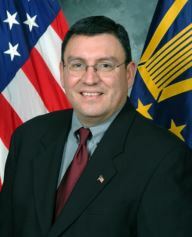 Rivera earned the Presidential Rank Award of Meritorious Service in 2006 and the Presidential Rank Award of Distinguished Service in 2009. At MeriTalk, we salute Mr. Rivera for his public service- and we wish him well in his new career.